If you are looking for some new ideas in farmhouse decor, you are in the right place! I have looked high and low to find some fresh, new farmhouse decorating ideas (we hope they are anyway!) 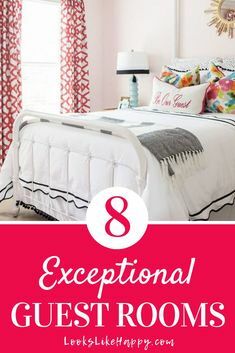 to inspire your next big room makeover. Bring the farm home with these fun decor finds! Some are to buy, while others to inspire your creativity and farmhouse style. Let’s take a look! Every farmhouse needs a big, awesome farmhouse sign! I love these signs because 1) they can be a DIY project, 2) you can customize them with anything you like, and 3) they are available is so many sizes you are sure to find one that fits your space perfectly. I just LOVE IT! I found mine at a little shop in Pentwater, Michigan (The Glove Apparel) while shopping with my mom, and I probably wouldn’t have bought it without her encouragement, but I am so glad I did! Even my ice cream loving hubby likes it, and he is not keen on pricey signs, lol! I have an antique scale that is nowhere near as awesome as this reproduction scale sitting on my open shelves. This one is MUCH better! Do you know why? Because it’s not a scale. It’s a clock! How perfect is that? These old scales are used as farmhouse decor, rather than their intended purpose, 99% of the time, so you may as well have one that is functional decor. I love this! I also love that it can be decorated seasonally, which is something I hadn’t thought of! I may need to bring mine down off the shelf periodically. Farmhouse kitchens are in high demand, and once you’ve washed dishes in a huge single bowl farmhouse sink (<– *love* this one!!) you will understand why big sinks are all the rage. No more trying to wash big pans in those tiny double bowl sinks. Such a pain! This farmhouse sink takes style to the next level with its embossed apron front. How beautiful! I love this idea! Wood shutters are not as easy to come by as they once were, so if you happen upon some be sure to snag them! There are so many things you can do with them, one of my favorites being this great farmhouse shelf. Since shutters are typically narrow, this could work out well on a hard to decorate narrow wall. If DIY is not your thing, or you love this and just can’t find the perfect shutter (me!!) you can purchase this almost identical shutter shelf. Even if you have limited carpentry skills, you can totally build this DIY farmhouse console table! Your local lumber store will cut all of the wood for you if you ask realllyyyy nicely and tell them you’re a new DIY’er, and you can YouTube how to make pocket holes without a kreg jig. It is as easy as it looks! Orrrrrr…you could save yourself the hassle and have this super great console table in just a few days… Just sayin’. Bees are to hives, as ________ are to farmhouses. Do you remember those questions from school, lol? 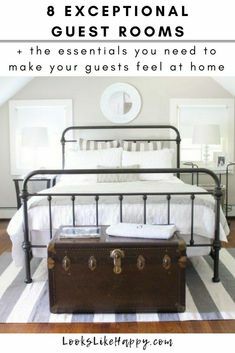 The answer, in this case, is “Wooden Trays!” I love trays and we have them all over the house: under the coffee pot, in the bathroom, in the living room, on bedside tables…pretty much wherever anything can be set down, we have a tray for it. I am particularly fond of the trays I have in my living rooms that allow me to set my coffee next to me on the sofa so I can sip while I work without worrying about it tipping over on the cushions. These trays come in a set of three and are Farmhouse Fabulous! I love the raised metal handles. This is such a great idea for your Spring Summer Fall Winter YEAR ROUND porch! Naturally, given the photo, you think Spring or Summer, but galvanized buckets can be used all year for seasonal decor. These would be super cute with Indian corn and gourds in the fall, and also with evergreen branches, pine cones and shatter-proof ornaments in the winter. I picked up six (or maybe 8…) vintage galvanized maple syrup buckets when we were in Florida. They are going to line our dock with plants this summer! Since garage sale season is upon us, vintage galvanized buckets should be pretty easy to come by. If you like the look of maple sap buckets, but can’t find them used, they are available online. This vintage inspired metal and wood wall pocket is a great way to add a touch of farmhouse decor to any kitchen, mudroom, entryway…so many possibilities. You could use it for mail, keys, dried flowers or anything else you can think of. We were in Florida last year and I found this awesome Mud Pie dog food scoop. I mounted it to the wall and use it to hold tennis balls for our dog! (Below.) Update: Things sell out FAST at Antique Farmhouse, and the wall pocket is no exception. No worries, I found another great rustic wall pocket to share! See the rest on page 2!